The Micromax Canvas 4 is finally here. 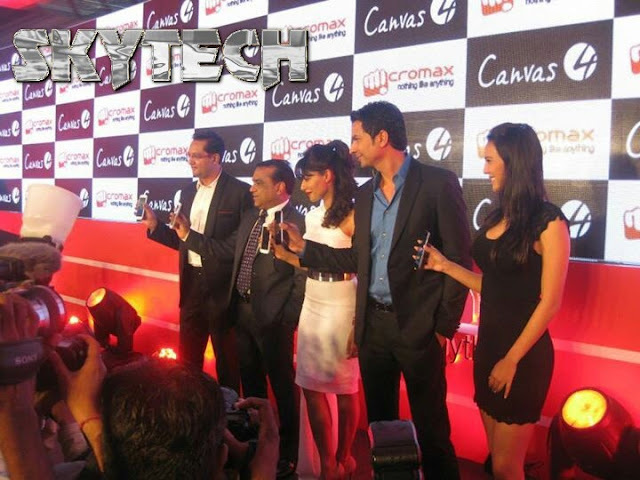 Putting the rumors to an end Micromax have finally launched their latest flagship device the Canvas 4. They have crossed 11000 mark for pre-booking of the phone. The Bollywood star Chitrangada Singh launched the device The looks more similar to the leaked images we have seen earlier. Its has a aluminum bezel giving it a premium feel to it and also serves as the antenna as well. It has a 5 inch True HD IPS screen with Corning gorilla glass protection on top. At the back theres a 13MP camera along with 5MP front camera. It runs on latest Android 4.2 Jelly Bean OS. Micromax have bundled some features such as Blow to Unlock, Video pinning (like Pop up play on Samsung) and Flip to silent etc. 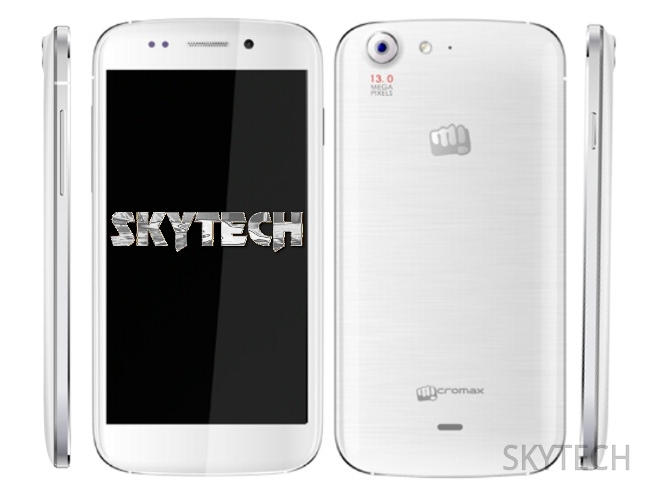 The Micromax Canvas 4 is Priced at Rs. 17,999 and will be available in Black & White colours. You also get a Flip cover absolutely free.